Allows you to maximise your storage space and safely store kayaks and paddles of almost any size. The bracket has a push pin which allows the bracket to fold towards the wall, so you can save space while the kayak is not in storage. Max weight of brackets is 35kg but it depends on the wall type that fixings have been screwed into. Includes: One pair of GoSea heavy duty kayak & paddle wall rack storage with screws and wall plugs. 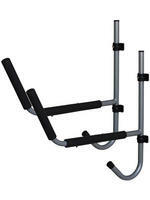 This heavy duty wall rack is an ideal wall to store your kayak or canoe and paddle when it's not in use. The upper cradle is padded so no to damage your kayak during storage and the lower arm is perfect for you paddle or other accessories such as a dry bag or helmet. The top bracket that attaches to the wall has a clip in that once pushed back, allows the arms to swing back and lie flat against the wall therefore not taking up any space when it's not in use. 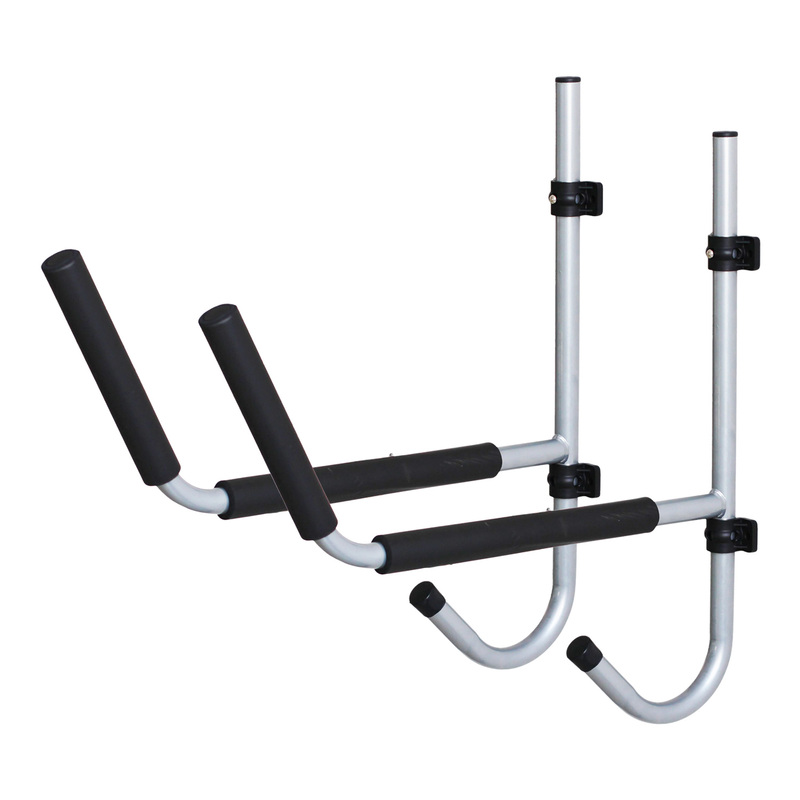 This pack includes two brackets which will hold one kayak - double or single.